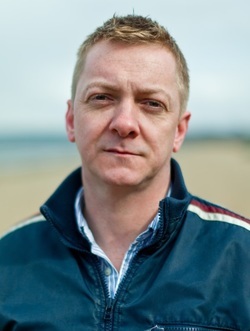 Doug Johnstone is an author, journalist and musician based in Edinburgh. He writes contemporary thrillers about ordinary people thrown into extreme situations. His seventh novel, The Jump, was published by Faber & Faber in August 2015. His previous novels have been bestsellers and won various awards, and his work has received praise from the likes of Irvine Welsh, Ian Rankin, William McIlvanney, Megan Abbott and Christopher Brookmyre. Doug is currently the Royal Literary Fund Fellow at Queen Margaret University in Edinburgh. He’s had short stories appear in various publications and anthologies, and since 1999 he has worked as a freelance arts journalist, primarily covering music and literature. He is also a mentor and manuscript assessor for The Literary Consultancy and for Emergents in the Scottish Highlands. Doug is a singer, musician and songwriter and has released seven albums and EPs to critical acclaim. He has a diploma in journalism, a degree in physics and a PhD in experimental nuclear physics. And he is one of the co-founders of the Scotland Writers Football Club, for whom he puts in a shift in midfield.